The Enemies are an exciting and energetic pop/rock band from the east coast of Ireland. 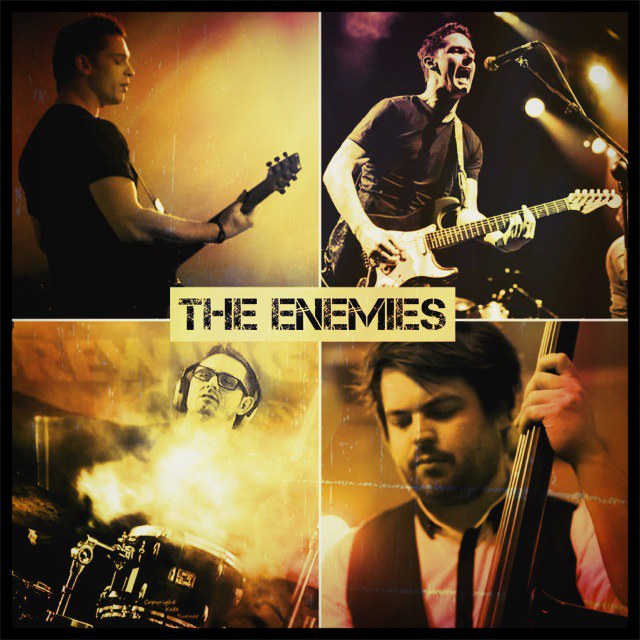 The Enemies released their debut EP in March 2011 which served as a taster for their self funded first album "Sounds Big On The Radio"on track and due for release later this year. Though the band are unsigned The Enemies have created a name for themselves through their relentless hard work which has earned them the admiration of car giants GM who commissioned the band to record numerous tracks for their “Chevy route 66” online campaign. Follow this with the bands work on the music for Coca-Cola’s 5BY20 project and their professionalism becomes very evident indeed. Their song ‘Sustain’ will feature on Direct TV’s 3D surfing documentary series “Gone Until December” in the US this year and they’ve also co-written and recorded the theme tune for 2012 animated global TV show "Max Adventures", and more recently they recorded the music for major ice-cream brand Cornetto’s new global advert which was inspired by their own song “Dark Light”. In 2011 Co- founding member of the band Colin O'Donoghue starred alongside Sir Anthony Hopkins in Warner Bros movie "The Rite". Due to his acting commitments he has had to bow out of the band and can be found swanning the seas as Captain Hook in ABC's Tv series "Once Upon A Time".